Foundries being hazardous work environments, the management of Kaizen Ferro Cast is committed to ensure that all personnel at the plant, irrespective of cadre and rank are safeguarded against any personal injuries during the course of work. With this objective, Kaizen Ferro Cast has in place all practical safety measures that are essential in any foundry industry. Systematic and critical appraisal of all potential hazards involving personnel, plant, services and operating methods are carried out periodically. Kaizen Ferro Cast strictly adheres to all safety rules and regulations incorporated in the Factories Acts and Rules in order to maintain a safe and healthy working environment at all sections of the plant. 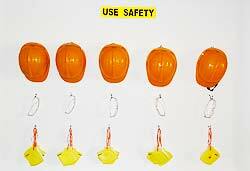 Kaizen Ferro Cast also conducts periodic safety and health education programmes to improve awareness among the employees.